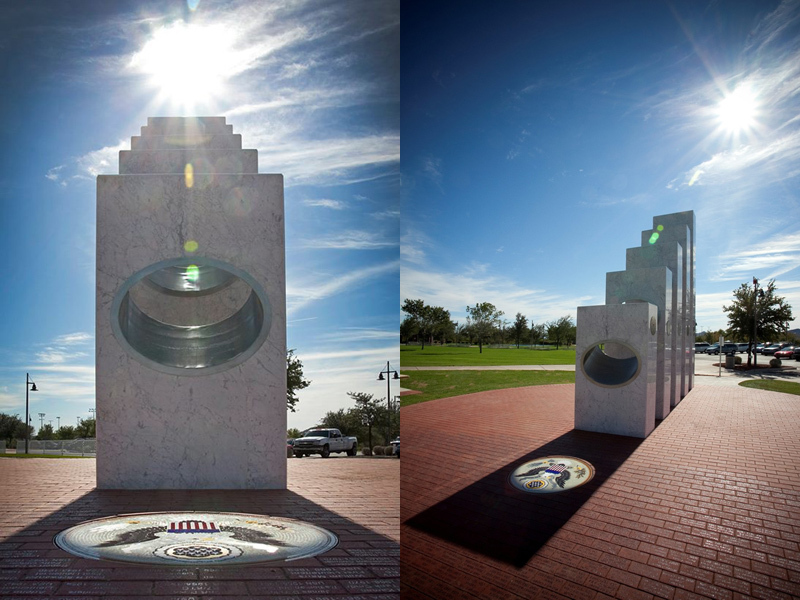 At precisely 11:11 a.m. each Veterans Day (Nov. 11), the sun’s rays pass through the ellipses of the five Armed Services pillars to form a perfect solar spotlight over a mosaic of The Great Seal of the United States. 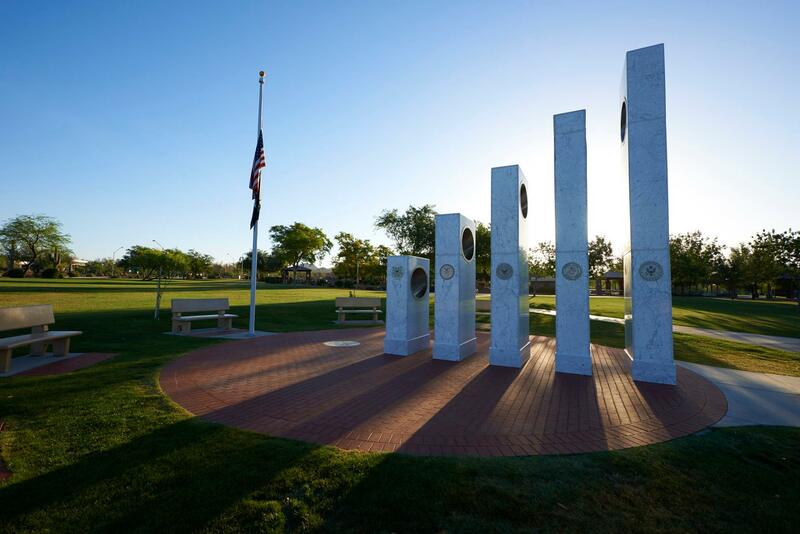 The Anthem Veterans Memorial, located in Anthem, Arizona, is a monument dedicated to honoring the service and sacrifice of the United States armed forces. 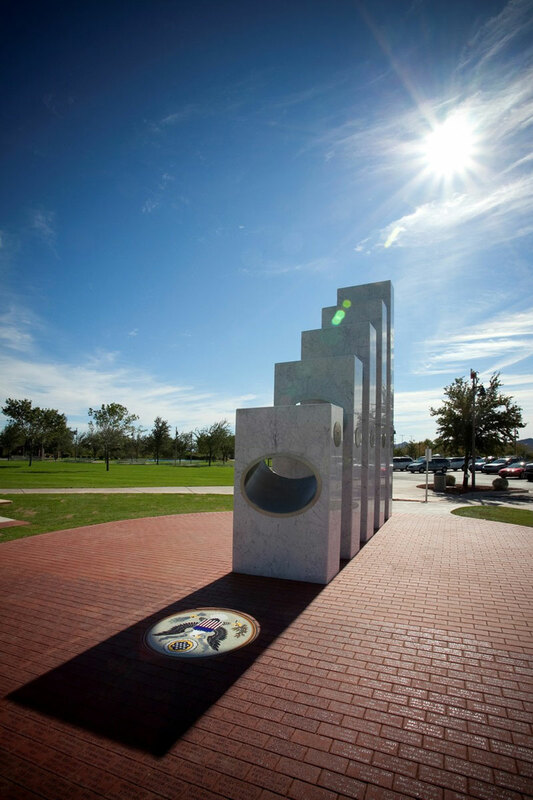 The pillar provides a place of honor and reflection for veterans, their family and friends, and those who want to show their respects to those service men and women who have and continue to courageously serve the United States. 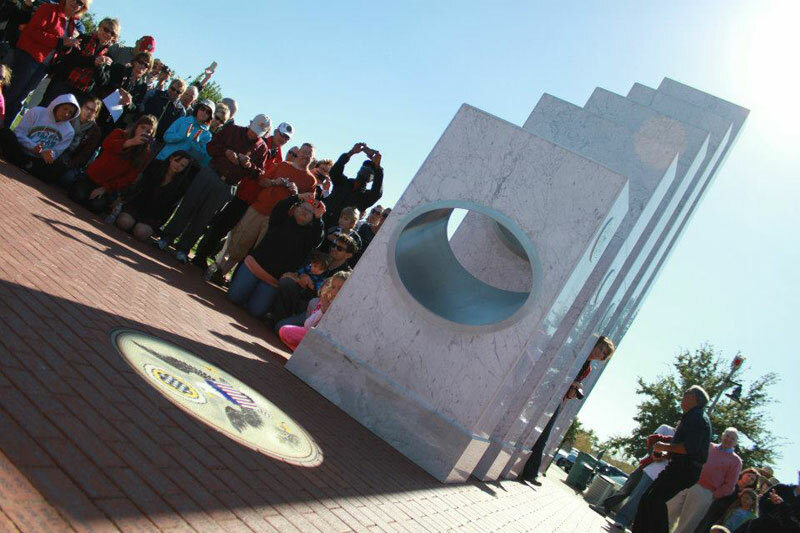 The memorial was designed by Anthem resident Renee Palmer-Jones. 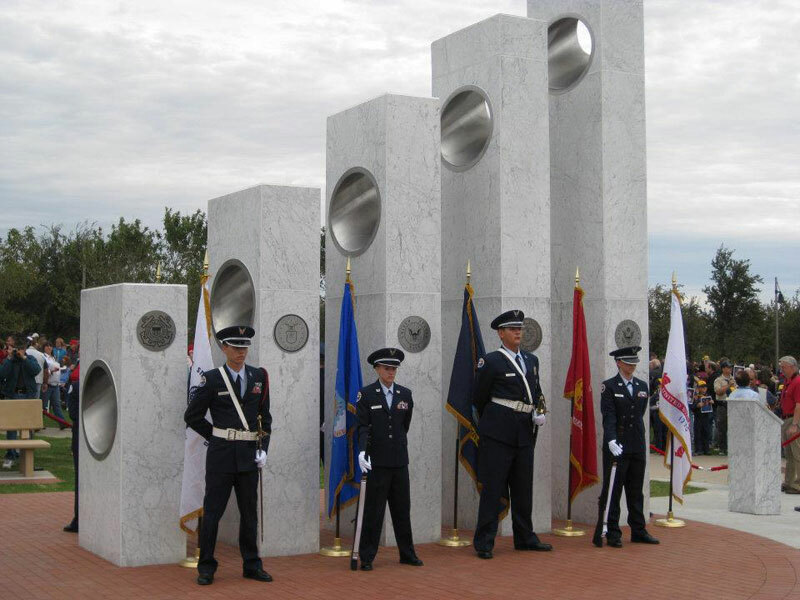 The five marble pillars represent the five branches of the United States military. They are staggered in size (from 17 ft to 6 ft) and ordered in accordance with the Department of Defense prescribed precedence, ranging from the United States Army, the United States Marine Corps, the United States Navy, the United States Air Force and the United States Coast Guard. 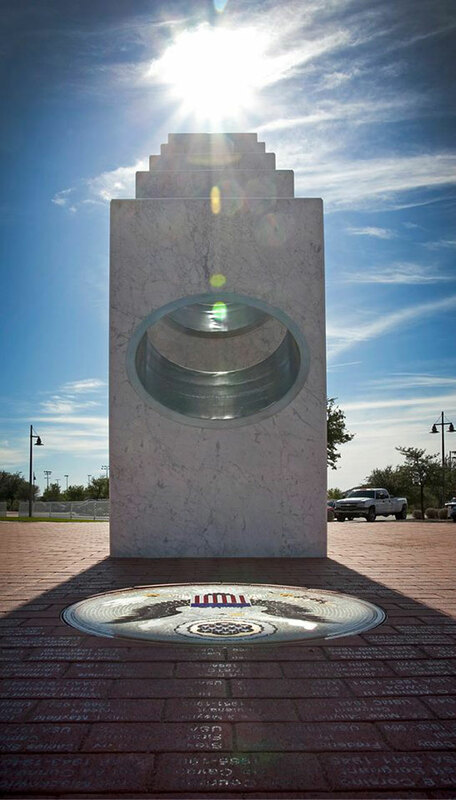 Additionally, the brick pavers within the Circle of Honor are inscribed with the names of over 750 U.S. servicemen and women, symbolizing the ‘support’ for the Armed Forces. 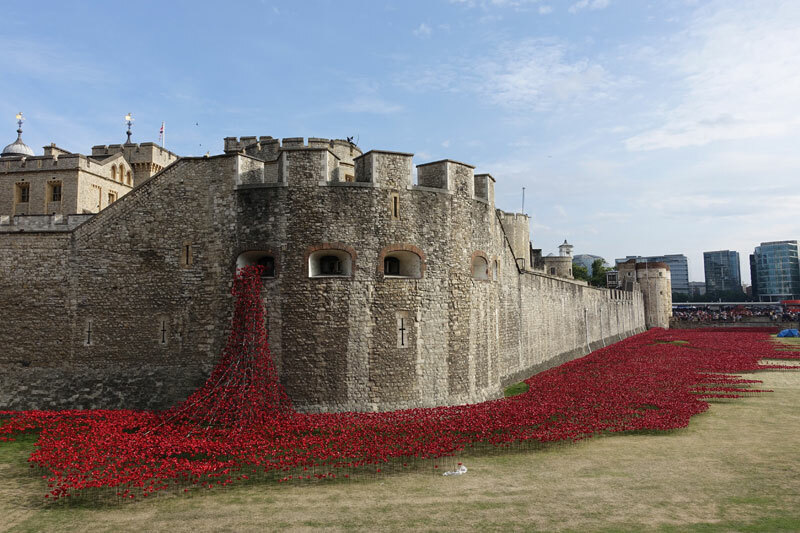 The pavers are red, the pillars are white, and the sky is blue to represent America’s flag. The circle represents an unbreakable border. 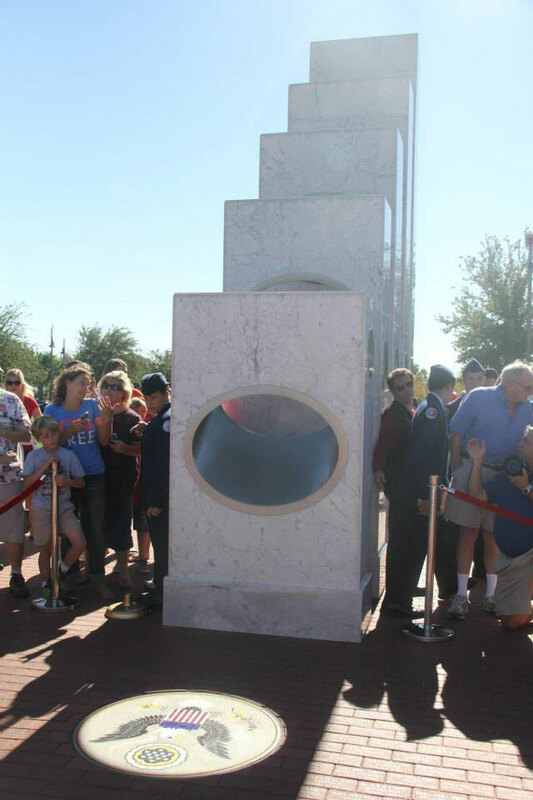 Anthem resident and chief engineer, Jim Martin was responsible for aligning the memorial accurately with the sun.